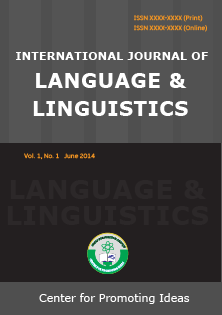 This study aims at investigating the potential differences in employing different linguistic knowledge sources by adult male Jordanian English speakers. To this end, a lexical inferring test was used to instigate any previously acquired knowledge in morphology, phonology, syntax and semantics by 16 Jordanians. Data were then analyzed statistically and categorized according to the employed linguistic knowledge sources. Results showed that participants generally tended to use single linguistic knowledge source at a time. They relied more heavily and successfully on their previous knowledge in semantics followed by morphological analysis, whereas reliance on syntax was least used, followed by dependence on phonological relationships which was the most misleading. Differences appeared in terms of the frequency of using each linguistic knowledge source as well as the success of making use of each source. Differences can be ascribed to variance in length of individual's previous English learning experience and time given to formal instruction on applying their knowledge to reading-based lexical learning tasks. The study highlights the importance of knowledge in linguistics as a prerequisite to support cognitive processing, to overcome limited lexical knowledge and to facilitate lexical acquisition. The study has implications for lexical studies and second language acquisition. Copyright @ 2014 - 2019: www.jllnet.com | All Rights Reserved.